Summary: Thyroid disease affects some 200 million people worldwide, 1 in 10 Canadians, with 50% of them undiagnosed, and 20 million Americans, with 60% of them unaware of their condition. Thyroid disease affects some 200 million people worldwide, 1 in 10 Canadians, with 50% of them undiagnosed1, and 20 million Americans, with 60% of them unaware of their condition2. But chances are, unless you or someone you know has a thyroid problem, you know little about this amazing, little workhorse of a gland. It has the incredible responsibility of affecting every cell, every tissue and every function in your body. The thyroid secretes a hormone that is only one of two substances in the body, along with vitamin D, that has a receptor site on each and every one of more than 3 trillion cells in our body. The thyroid plays a much more important role in health than you may realize. The thyroid is located in your neck, just below your Adam’s apple and above your collar bone and looks like a butterfly with outstretched wings on either side of the throat. In its broader view, it is part of the endocrine system, working with a group of other glands to control homeostasis (the maintenance of an internal stable environment). Glands that make up the endocrine system secrete a variety of hormones that help with stress response, aids in the reproductive processes, and enable growth, and development, and regulate the internal body thermostat. Each system and gland within the body has its own targeted function, but works synergistically together. The thyroid gland is an important part of this complex, integrated system which produces regulatory hormones that affect all parts of the body. 1. Growth and Development. Thyroid hormones play important roles throughout the life stages, most importantly, in newborns and children. 2. Metabolism. The thyroid makes and secretes hormones into the blood that get carried to every cell and tissue in the body, affecting cell metabolism. Proper thyroid functioning enables us stay warm and maintain a steady body temperature. 3. Nervous System. The work of the thyroid keeps our muscles, brains, heart and other organs working properly. The nervous system is the control and communication center of the body, sharing its responsibility of homeostasis with the thyroid and the rest of the endocrine system. Thyroid hormones have the very important job of breaking down carbohydrates and fats in most cells of the body and increasing the synthesis of proteins. It is this process of metabolism that gives us body warmth. 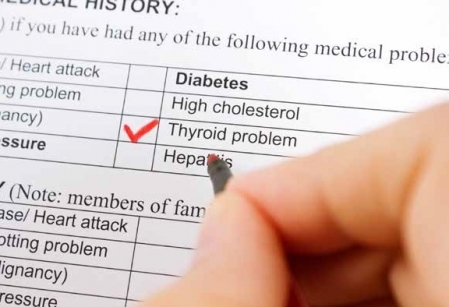 The thyroid affects the metabolic rate differently from person to person and from one period in a person's life history to another in the same individual depending on a variety of factors. Metabolic rates range from very slow (hypothyroidism) to normal to overly active (hyperthyroidism) and everywhere in between. On the other hand if there is an underproduction of thyroid hormones, the basal metabolic rate slows down so much that even small amounts of food lead to increased weight. The slower the metabolism, the slower food matter is assimilated and the easier it is for weight gain. Other hallmark symptoms excessive hair loss notably on the outer third of the eyebrows, dry skin, poor food digestion, slow heart rate, low energy, general fatigue and anemia, constipation or infrequent bowel movements, fertility problems and inability to get pregnant, difficulty concentrating, goiter, loss of libido, and low core body temperature creating increased sensitivity to cold and frequent chills. Many people report having cold hands and feet especially at night and must wear socks to bed. Other symptoms may include mental sluggish, lack of motivation, muscle weakness, and depression. • thyroid resistance. Thyroid resistance is similar to glucose resistance where there is plenty of glucose but the body is not utilizing it or recognizing it properly. Lab results in the normal range may not mean that all is well since different labs have different ranges for what is "normal." Be sure to check with a health care professional well versed in nonceliac gluten sensitivity, not just celiac, to review your lab results carefully, because gluten interferes with thyroid function. A careful assessment of lab results is important because, most likely, if thyroid hormones are out of balance, so are other hormones and systems. They are all interconnected, and will also need to be addressed in their proper order. Nothing in our body works in a vacuum from other systems. If one thing is off, you need to look deeper to see if an interconnected system is also affected. 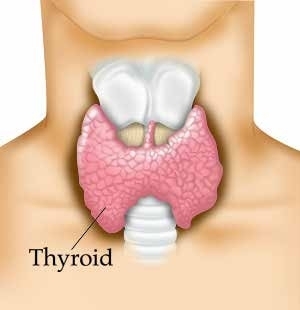 The thyroid cannot work optimally without a few key elements but the most important is iodine. Iodine is a necessary dietary component for proper thyroid function and is needed in the formation of thyroxine (T4) and thyroid-stimulating hormone (TSH) that comes from the pituitary gland in the brain. T4 is appropriately named as it contains four iodine atoms and triiodothyronine (T3), another thyroid hormone, is made up of three. iodine atoms. Iodine is central to the formation of thyroid hormones. Iodine deficiency is most often found in areas geographically far from the sea, known as the goiter belts. Though table salt is iodized in the USA there is still a fair number of people with iodine deficiency and many may not even realize it. Iodine deficiency rates range from 11.3% of the population4 to an estimated 40% 5. 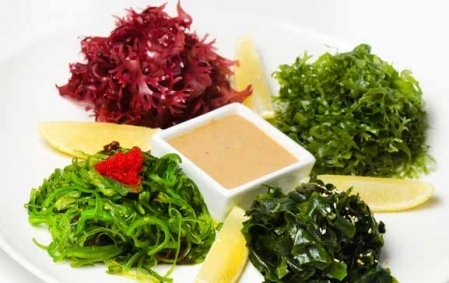 Iodine is most prominent in spirulina and dried sea vegetables like arame, dulse, kelp, wakame, hijiki, and smaller amounts in nori. When shopping, read labels and choose sea vegetables grown in uncontaminated areas, away from nuclear spills and large population centers. People whose diets are low in iodine may develop a goiter or growth in the neck, in which the thyroid enlarges in order to capture any small amount of iodine it can find. Increasing the amount of iodine in the diet is the simple remedy for goiter. Dietary sources of iodine are preferable over supplementation. If you are consuming iodine and your iodine level is still low, there may be toxins interrupting your body's ability to bind iodine. When chlorine gets into your system through drinking water or through your skin when you bathe, it can block your body's ability to bind iodine. According to the European Journal of Inflammation, gluten is also a top contending toxin for the thyroid and should be eliminated from your diet6. Radiation, x-rays, fluoridated water, pesticides, and herbicides have also been implicated as culprits7 because they act as endocrine disruptors. Tobacco also blocks the action of the thyroid hormones and reduces the thyroid's ability to produce adequate amounts of hormone8. 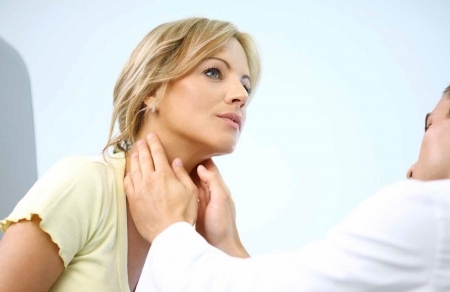 Mercury, dental amalgams9 and chronic stress also damage the thyroid. Until recently, if you presented with a thyroid problem there were few known things you could do naturally to help your thyroid heal. Because we know more about the thyroid and how it works, we now know there are a number of things we can do to improve thyroid health and function. Most importantly, you can remove known toxic chemicals from your food, water, home and personal care products. It is necessary to detoxify your body of the accumulated toxins that have built up over the years by routinely sweating, either through exercise10 and or sitting in a sauna, and to daily detox by eating a whole plant food, organic, mostly raw diet. After sweating be sure to shower in order to rinse off toxins. Sweating is one way the body rids itself of toxins, enabling all the organs involved in waste removal to function more efficiently. The thyroid is a catch basin for toxins and is a very sensitive gland and deserves more respect and attention. Other key elements for the thyroid to work optimally include vitamins A and D, B vitamins, selenium, omega-3s and zinc11. As with all nutrients it is best to receive them from whole, organic, unprocessed, raw foods not supplements. With vitamin D however, if getting enough sunlight is not possible, a high quality, whole foods supplement may be necessary. Enough selenium can be obtained easily by simply eating just a few raw Brazil nuts per day. Omega-3 can easily be obtained by adding chia and hemp to your diet. A few tablespoons of chia plus a few tablespoons of hemp as a breakfast cereal, is a great way to boost low levels of this essential fatty acid. Fish is not recommended due to mercury toxins and a variety of other reasons. 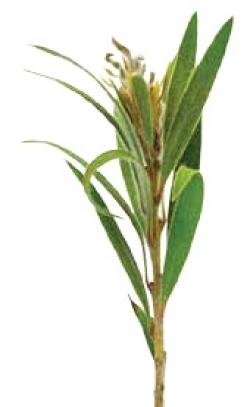 Vitamin A is abundantly found in many foods and is easy to obtain. To get more than your daily dose, consider at least one of these options daily, but the more raw, fresh foods you can add, the better: 1 small yam or sweet potato, 1 medium carrot, 1 densely packed cup of dark leafy greens (kale, spinach, collards, turnip, dandelion, and beet greens, and swiss chard), ½ cup butternut squash, ½ a cantaloupe, or 1 large sweet red pepper. Zinc is found in a variety of foods but is needed in smaller amounts for optimal health. No individual food offers the daily recommendation, which is where eating a variety of foods becomes important. 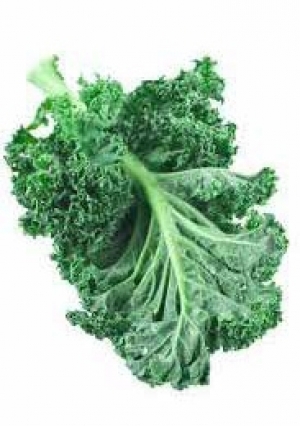 A little bit of this mineral from several foods adds up. Examples of foods higher in zinc includes sesame, pumpkin and sunflower seeds, cashews, shiitake and crimini mushrooms, spinach, asparagus, garbanzo beans, lentils, green peas, beet greens, broccoli, parsley, quinoa, wild rice, and gluten free oats. The B vitamins work individually and mutually in every cell to enable each to perform its various jobs. B vitamins, with the exception of B12, are found abundantly in whole, fresh, organic, plant based foods. Because of our over obsession with cleanliness and because few people grow their own food, produce that may have had B12 naturally on it, is washed and double and triple washed, stripping away all the B12. Vitamin B12 is also naturally found in your mouth and gut but due to poor diets and ill guts, most people cannot make enough anymore. For these reasons, a high quality B12 supplement is necessary for most people. The other B vitamins are found in dark leafy greens, green peas, lentils, nuts, asparagus, spinach, legumes, peanuts, bananas, potatoes, avocado, and a wide variety of fruits and vegetables contain varying amounts. Drinking green smoothies with the emphasis of working towards 60% greens, starting your day with a plant-based, nutrient dense breakfast, drinking plenty of purified water and green juices, including more raw meals, eliminating gluten and nutrient deficient foods, and doing a weekly mini fast from noon to noon are several things you can do to support your tired thyroid (and probably the adrenals too). Another step on your road back to thyroid health is one which is often overlooked and undervalued, that is, stress management. Few health improvements can be expected until you get your life under control. Stress must be managed. Because healthy stress management doesn't come naturally, you will need to learn and practice stress management techniques. Practice relaxation by taking several slow deep breaths upon awakening, before going to sleep and before each meal. Once mastered, your digestion, hormones and whole system will calm down. Be sure to also look at the source of stress and find the cause. There are many obvious causes of stress but one not mentioned enough is the stress of living outside of God. Allow God to take charge, walk with Him, and the "peace of God, which passeth all understanding, shall keep your hearts and minds through Christ Jesus." (Philippians 4:7). Another often overlooked fact is that every part your body is interconnected with all the other parts. If one part suffers, so does another. Nothing in your body is an island to itself. Our modern health care system seems to have forgotten this. For good health, you must look at the hierarchy of healing. By hierarchies, I mean, proper digestion must be in order before trying to heal your thyroid or any other system, though you can work on them together. Nevertheless, the thyroid cannot be healed without proper digestion. Proper digestion is the corner stone of all good health; with poor digestion, poor health will soon follow in another area of your body. If you have a thyroid problem, you also most likely have digestion problems, maybe unknowingly. Since the blood sugar affects the entire system, it is the next hierarchical step to fix after digestion. If you have blood sugar problems, then you also have digestive problems. Before fixing the thyroid, get your digestion and blood sugar in order. The next step is to support both the adrenals and thyroid together. How is this done? 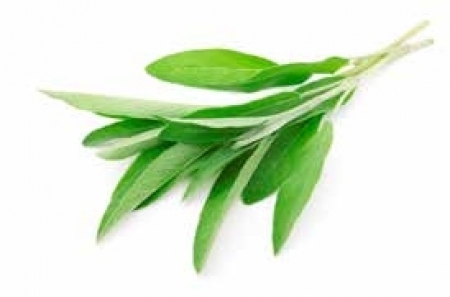 By managing stress and eating a simpler, mostly raw, nutrient-dense diet including healing herbs. It is time to stop making excuses as to why you eat the way you eat, which seems to be common among humans, and make some major overhauls. 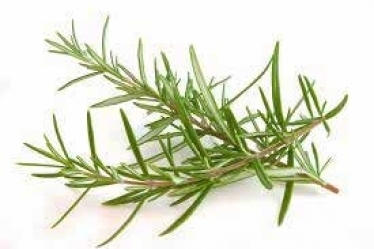 Prepare these herbs and foods as a smoothie instead of a meal. Here's what you do. Steep two tablespoons of holy basil leaves in a brew basket in two cups of boiling water for 4-5 minutes. Pour the tea into a blender and add ½ t to 1 teaspon of each herb, 3-4 Brazil nuts, a tablespoon each of whole coconut (unsweetened flakes, meat or coconut butter, not oil), walnuts, and hemp and two tablespoons of carob powder. Blend until smooth. Drink daily. If you are still hungry, add a large dark green salad. Resist the urge to focus solely on healing your thyroid, even if that is the chief cause of illness. Do not overlook other important parts of your whole system. Few people realize the degree of destruction caused by stress and poor dietary habits. Instead, love yourself enough to switch to a mostly raw diet. Ask God for peace and strength to make necessary changes and detoxify your system for a cleaner, healthier you. Make your health your priority because without health, you have lost much more. In the hierarchy of making health your priority, the only other higher rung is trusting in God. He will not heal you if you willfully disobey the laws of health. Go ahead and ask for His help. He’s waiting for you with open arms. With God, take your health into your own hands and stop giving that responsibility to someone else. One last to thing to think about: In the Garden of Eden all food was eaten raw. There was no death or sickness and our first parents enjoyed perfect health. The Creator put man in a garden to eat of the abundance of His plant creation. Obey the laws of health and you will see an amazing transformation happen not just to your thyroid but to your whole body, mind and spirit. Janie has been passionately teaching disease prevention & reversal and health promotion for almost 20 years through the classroom, lectures, in print and radio. Her focus has been on teaching people how to treat their own ailments God’s way, through a plant based, whole foods diet and other timeless lifestyle principles. More recently she has come to realize and teach the power of a high raw diet, the true, original diet in the Garden of Eden. 3. Cho, YA & Kim J. Thyroid cancer risk and smoking status: a meta-analysis. [Epub ahead of print]. Cancer Causes Control. 4. Caldwell, KL., Miller, GA., Wang RY., Jain RB., & Jones RL. (2008). Iodine status of the US population, National Health and Nutrition Examination Survey 2003-2004. Thyroid. 18(11):1207-14. 5. Brownstein, David, M.D. (2008). Overcoming Thyroid Disorders, 3rd Ed. 6. Vojdani, A., O’Bryan, T., & Kellermann, G.H. The Immunology of gluten sensitivity beyond the intestinal tract. (2008). European Journal of Inflammation, 6(2), 1-8. 9. Sterzl, I., Prochazkova, J., Hrda, P., Matucha, P., Bartova, J., & Stejskal, V. (2006). Removal of dental amalgam decreases anti-TPO and anti-Tg autoantibodies in patients with autoimmune thyroiditis. Neuro Endocrinol Lett. Aug 5(27), (suppl1), 101-000. 10. Denzer, CM & Young, JC. The effect of resistance exercise on the thermic effect of food. (2003). Int J Sport Nutr Exerc Metab, 13(3):396-402.